Article: Sydney Park Slays At Coachella! 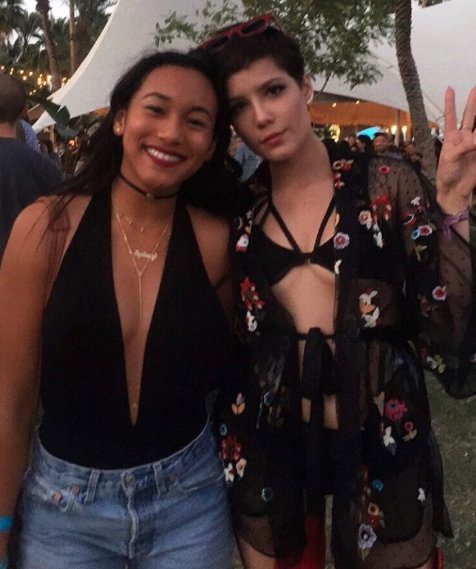 See Her Awesome Photo With Halsey Here! Coachella Weekend 1 was just a few days ago and we still can’t get over all of the incredible highlights from this past weekend. The outstanding actress Sydney Park totally slayed at Coachella and made us all wish we were with her at the music festival. From her incredible outfits to her amazing photos with her BFF Rachel Crow, Sydney Park looked like she had the most magnificent time at Coachella. Check out more photos below of the exceptional Sydney Park looking so fabulous at Coachella! I’m glad Sydney Park had a terrific time at the music festival! Previous Article: Paris Berelc Brings Coachella Style To Another Level! See Her Amazing Coachella Fashion Here! Next Article: Erika Tham Defines Perfection At Coachella! See Her Phenomenal Coachella Attires Here!